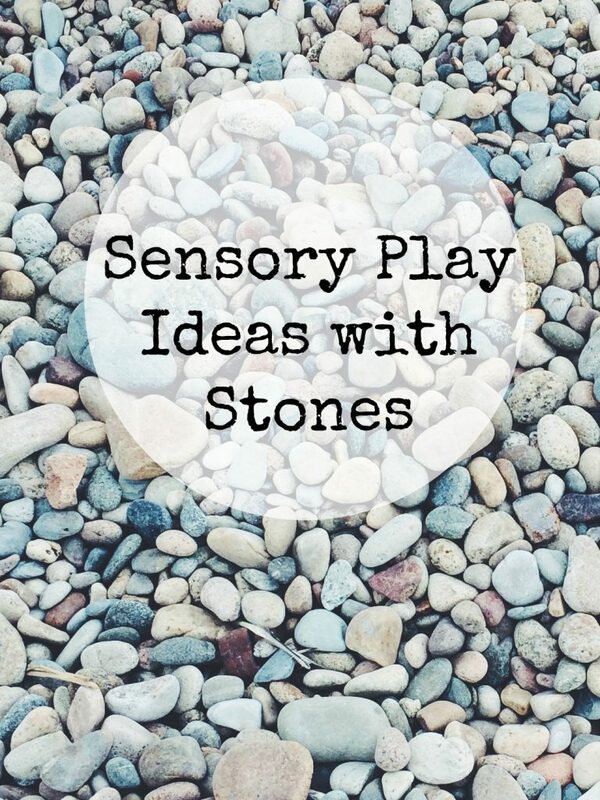 We love trying out different sensory play materials and thinking up new ideas and new ways to play with them. 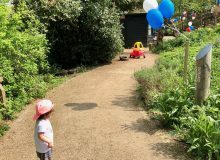 This Kinetic Sand race track activity was lots of fun for R while he had a sick day from school, to keep him occupied at home. 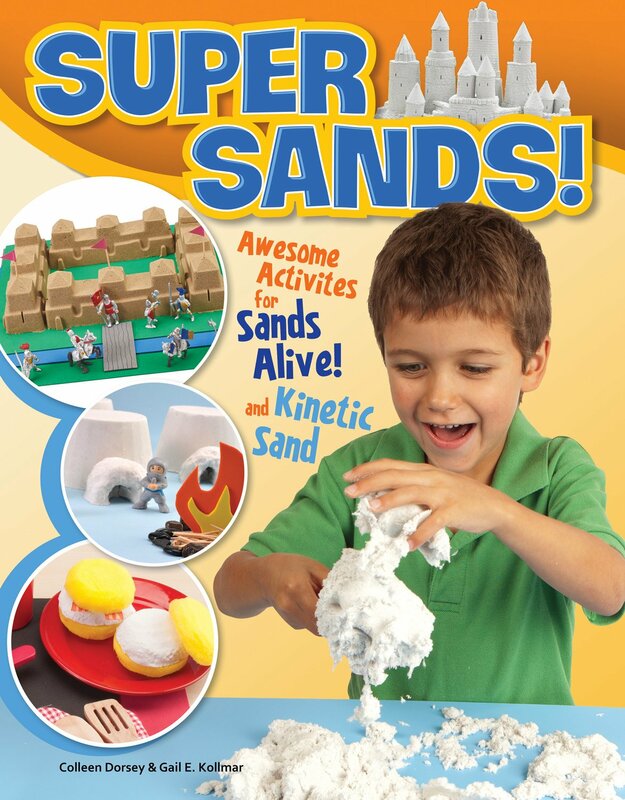 We took the idea from “Super Sands” a new book packed full of ideas to play with Kinetic sand. 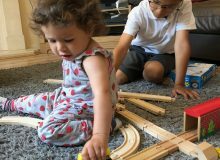 This activity was a great way to combine imaginary play with sensory play, and to incorporate the toy cars which are always popular with my boys. 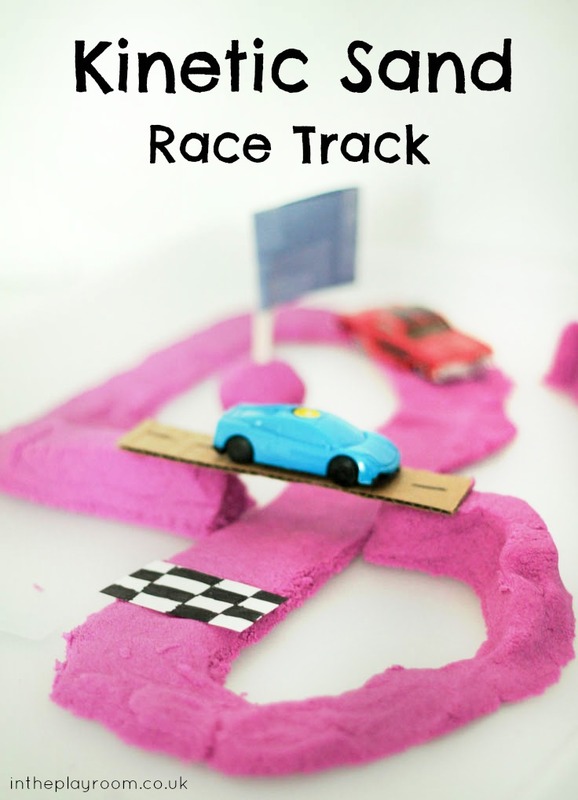 The book Super Sands shows you exactly how to construct the race track, and has so many other ideas too – from small world set ups with kinetic sand, to process based activities with printing and experimenting with the material. R enjoyed racing his cars and squishing and squeezing the kinetic sand. 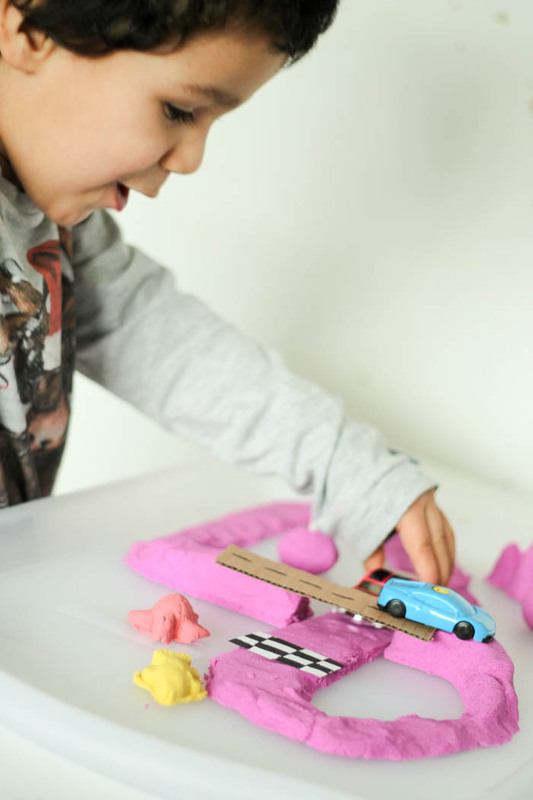 He used one of his moulds to make a little kinetic sand fish, to use that to race against his cars too! 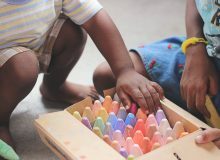 I love how open ended this type of activity can be, allowing children to direct the play into whatever interests them. After racing the cars for a while he moved on to making mini rainbow sand castles, and then to experimenting with dropping the kinetic sand from a height and watching how it breaks and transforms. That is a really cool process to watch! I don’t have pictures because it just moves too quickly, and I wasn’t able to capture it, but if you haven’t played with Kinetic sand you should definitely give it a try. Kinetic sand is lots of fun and keeps really well too! 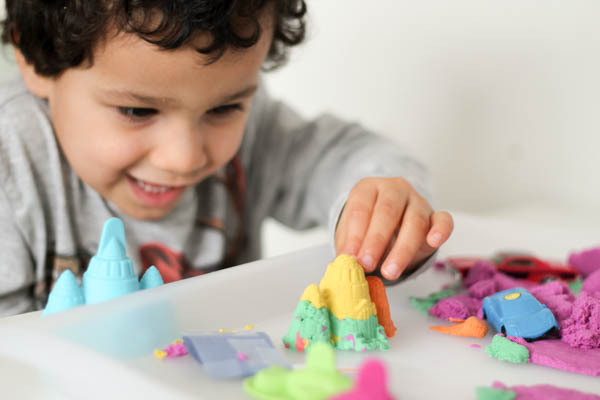 But if you have not tried kinetic sand before, you might be wondering what is kinetic sand? how is it different to normal sand, or how is it different from playdough? 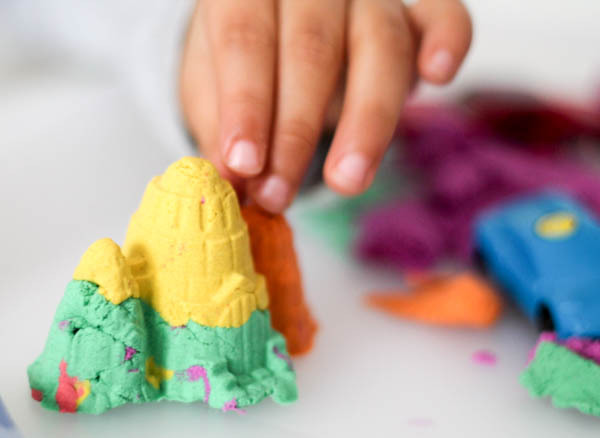 Kinetic sand is a type of play sand that forms together really well, allowing you to build and create – kind of like wet sand BUT it’s not wet! It’s most similar to cloud dough or moon dough, but neither of those have the the cool transforming property I just mentioned above, when you drop a ball of the dough. It is pretty similar to Skwooshi. 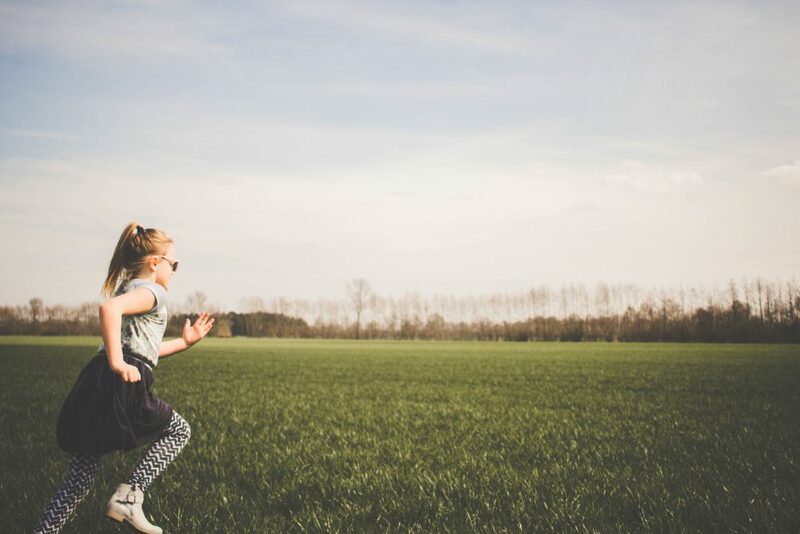 You do not need to add water or any other ingredients to these shop bought brands, they are ready to play with straight out of the packet and they don’t dry out like playdough. 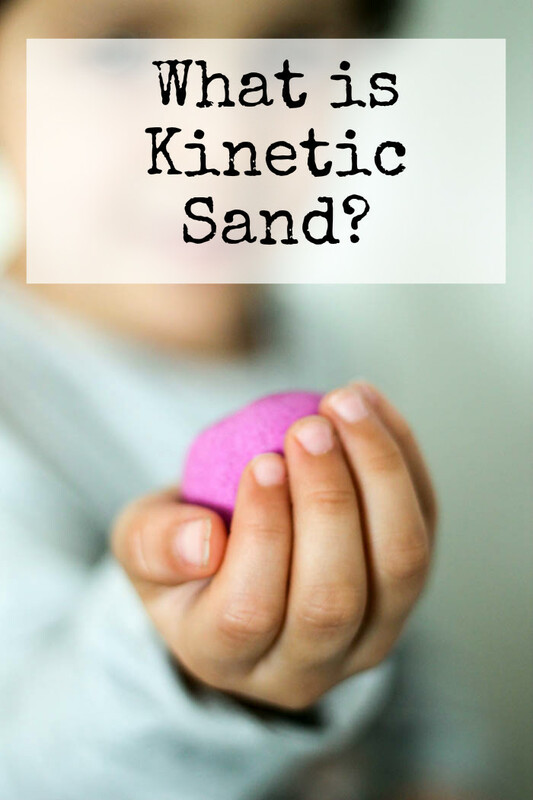 I notice a lot of people searching on my site about whether to add water to moon dough or other sensory play materials, so I thought I would clear that up regarding the kinetic sand too. 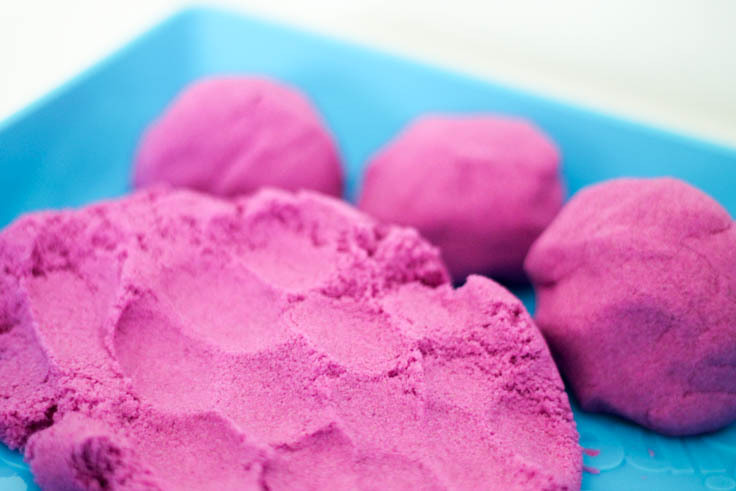 Also, with kinetic sand when you mix the colours together, they don’t really seem to turn into that big mass of brown or grey like playdough (or even moon dough) can do – they mix, but each one will still stay quite defined and bright like you can see here. We were sent this book to review and it has so many creative ideas included. 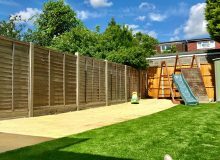 It works well for me as a parent to get ideas of activities to set up for the kids, and also for the children to use independently. I’ve kept this book alongside the boys’ Kinetic sand and their moulds and tools, so that they can flip through and take inspiration from the ideas as they play. 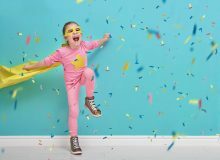 All of the pictures are big and bright and very appealing to draw them into each activity and there is plenty of variety in the book, so there’s sure to be something to appeal to most children.